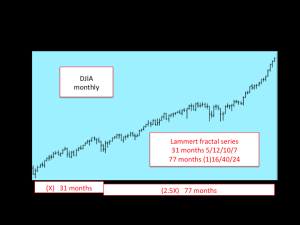 The daily, weekly, monthly, and yearly valuations of the Global Composite Equities represent the summation of all of the Asset Debt Macroeconomic System’s interrelational dynamics. Concurrent with the global system’s peak composite equity valuation saturation area, occurs the base populations’ durable items asset owership and debt saturation. 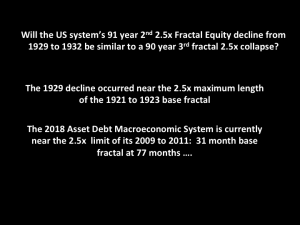 This is followed by a nonlinear system devolution, liquidation of unrepayable private debt, decreased economic activity further increasing the private debt burden with reinforcing feedback until the system’s bottom equilibrium point is reached. At this time in history the private sector is encumbered by record credit card debt, higher education debt, automobile debt, the ongoing and accelerating loss of jobs with robotics, and in the US: the loss of consumption of higher end assets by a bolus of retiring boomers. 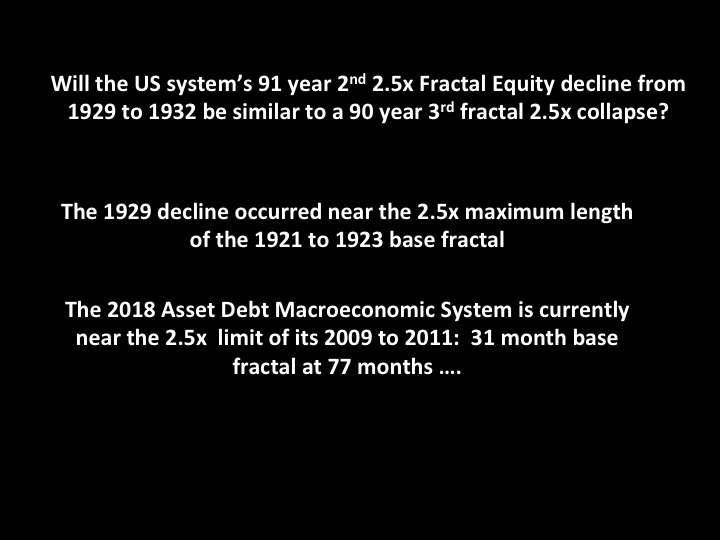 The major interrelational elements of the system are limited : market and now mostly central bank controlled interest rates, asset prices, number of jobs to support new and ongoing debt, base economy asset and debt consumption saturation, over investment of new technologies and asset products, and central bank money creation to maintain entitlement programs and government deficit spending, On a composite level corporations expand or contract activity based on the private consumer and governments’ ability to expand debt. The ongoing valuations of the composite equities are the integral sum product of all of the Asset Debt Macroeconomic System’s major interrelational elements. 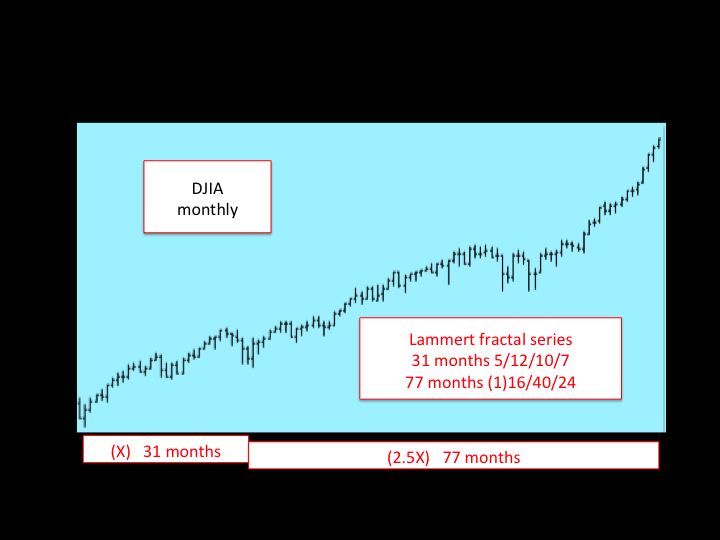 The Global System composite equity valauations increase or decrease in elegantly simple time dependent fractal patterns: x/2-2.5x/2-2.5x/1.5y; x/2-2.5x/1.5-1.6x; y/2-2.5y/2-2.5y; y/2-2.5y/1.5-1.6y; y/2-2.5y/2-2.5y/1-1.5y. where ‘x’ represent time dependent units of growth and ‘y’ represent time dependent units of decay. 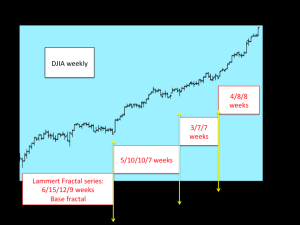 These fractal patterns of self assembly represent the operative mathematical laws or simple equations of the global macroeconomic system just as the laws and equations of physics represent the relationships between the forces and particles of the knowable universe.